A picture storybook by Regan W. H. Macaulay. Illustrated by Javier Duarte. Published June 15th, 2017 by Mirror Publishing. Launched September 9th and 10th at the Canadian Pet Expo, Little RES Q booth, International Centre, Mississauga. 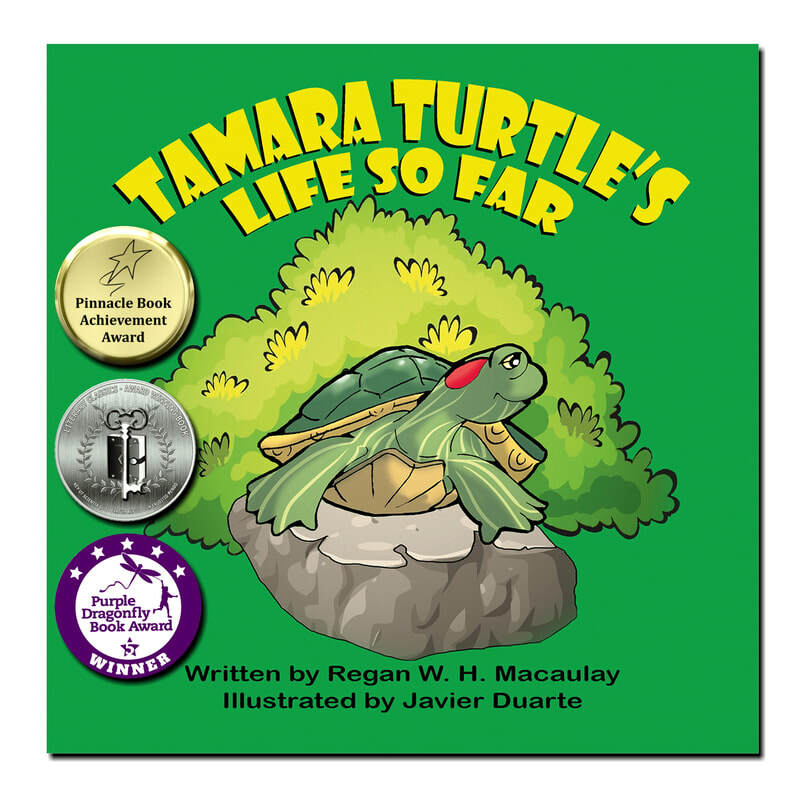 Tamara the Red-eared Slider turtle is having a rough start in life. Her new owner loses interest in her, and she is released into a nearby creek, where she does not belong. Luckily, a Good Samaritan takes her to a local animal shelter that cares for "special species" like Tamara. There, she learns about the plight of rescue turtles just like her. Looking for information on turtles and tortoises? Need to find a reptile rescue near you? In Australia, the Red-eared Slider is listed as a "pest species" and must, unfortunately, be euthanized if they are found. This is because they are not native to Australia and have the potential to breed quickly and take over the habitat of their native turtles. For more information regarding turtles and other reptiles in Australia, please visit Fauna Rescue of South Australia Inc.